Looking to have a cooler and more colorful change in scenery? No problem. 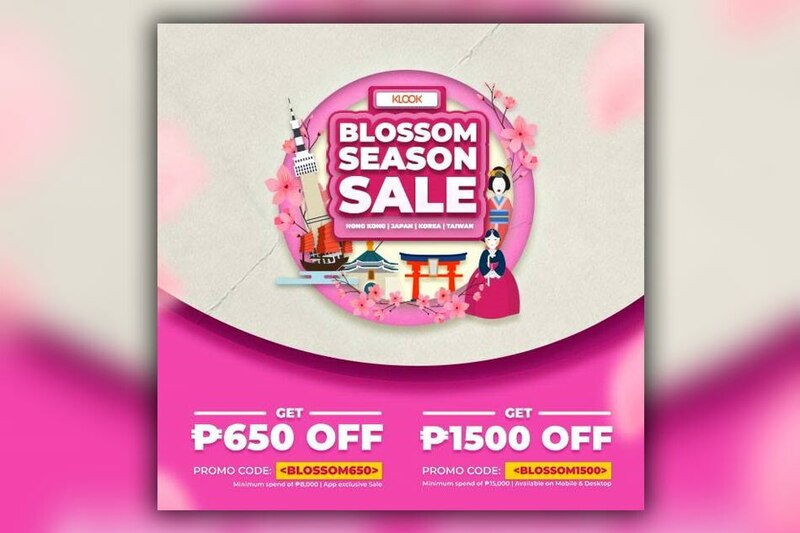 With springtime about to be in full bloom, we now have the chance to experience the best cherry blossom-filled break with all the best deals from Klook’s Blossom Season Sale. You can take it from Dao Ming Lu and San-CaiThy, who have recently captured us through their parodies of Meteor Garden and Train to Busan. Watch their video here. 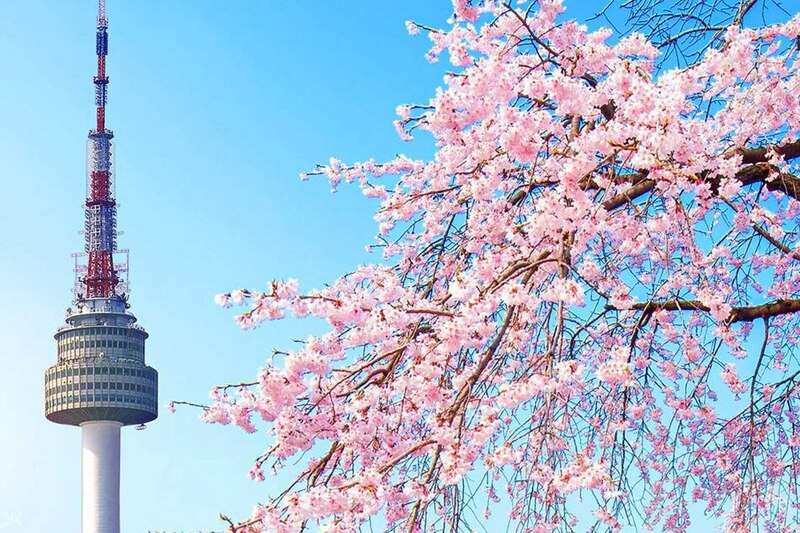 Japan is arguably the foremost destination for catching the beauty of the cherry blossoms. With its bustling capital as one of its more popular primary destinations, you can book yourself a tour around the best sakura spots in Tokyo, and enjoy strolling around the iconic Chidorigafuchi, the blossoming Ueno Park, the historical Senso-ji Temple, and a mixture of sight-seeing and shopping too, at the Nakamise Shopping Street. Check out this deal here. See the wonder that is Mount Fuji for yourself. 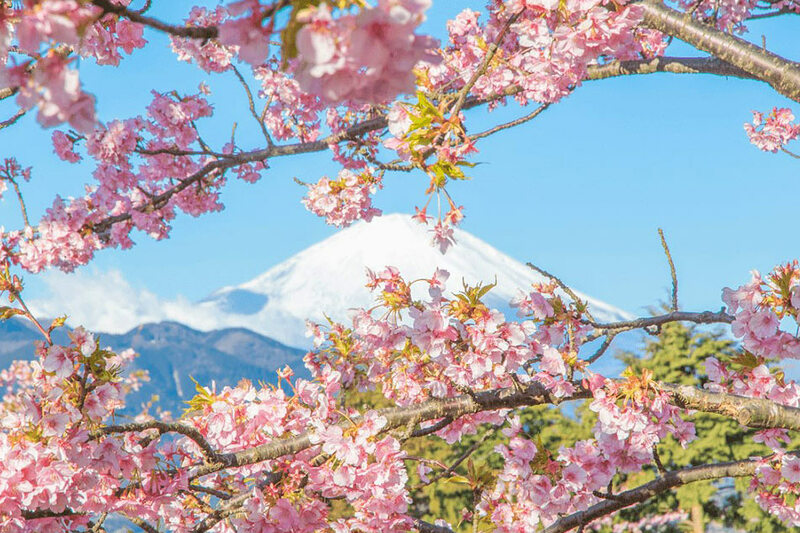 What makes it more special at this time of the year is getting to experience the sights of Mount Fuji, Lake Kawaguchiko, and the Shin Arakura Shrine, in cool and colorful weather. Definitely one of the best places to appreciate the beauty of spring. In case you weren’t aware, Korea also has its fair share of blooming cherry blossoms for this season. 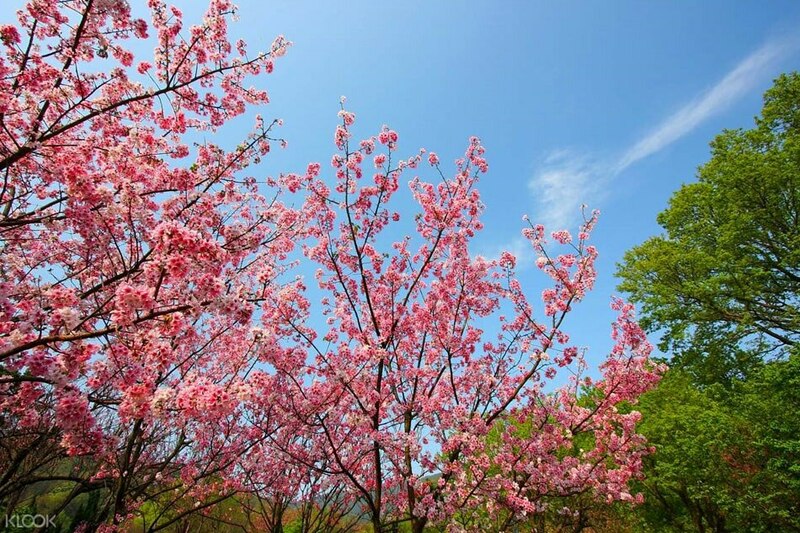 Experience a beautiful Korean springtime by going on a cherry blossoms tour, where you check out the best cherry blossoms observation sites around the city. This tour even ensures that you get to see the spots with the best blooms – and on top of that, gimbap is also provided! 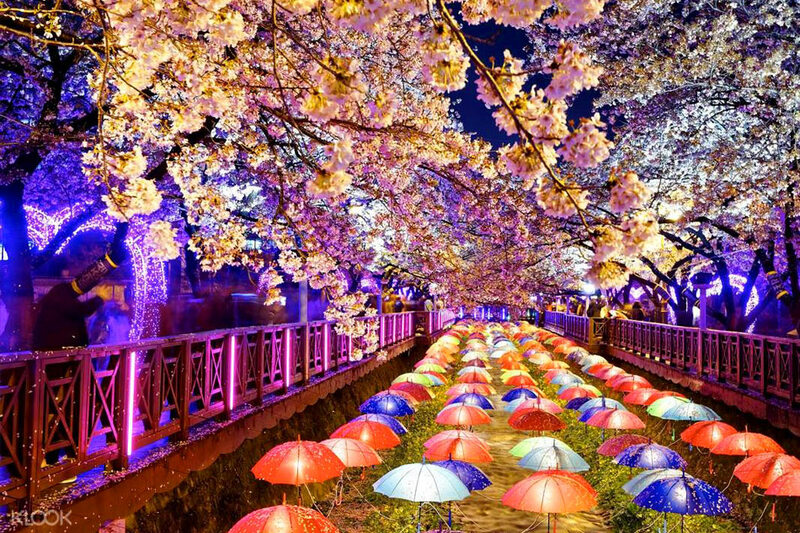 One of the most colorful visual spectacles in the springtime, you will find in Jinhae. As beautiful as everyone is already expecting spring to be, you cannot help but romanticize the season even more from the sights in Jinhae. 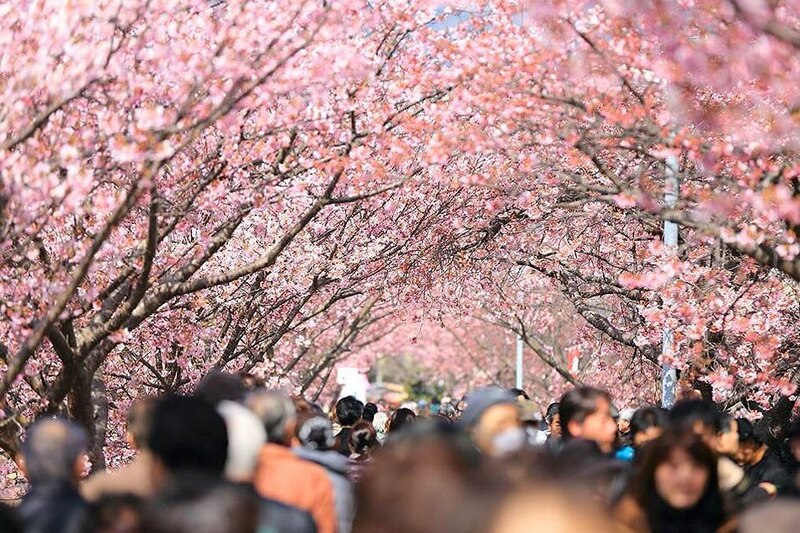 You can decide to go cherry blossoms-sightseeing in the daytime or at night, with each option bringing a completely different experience. Get the best of both worlds by going around Taiwan’s famous capital city, Taipei, then moving to its more natural sights in Beitou, and Yangmingshan. The highlight is not only Taiwan’s cherry blossoms, but its other-worldly views of its tallest dormant volcano, the Seven Star Mountain, as well as Lengshuikeng, a landscape made out of lava rocks, just to name a few. Two of the more important things when planning trips are savings and convenience. You can find the best deals on transportation, and activities such as Tokyo Subway Tickets, Tokyo Disneyland and DisneySea passes, Discover Seoul Passes, Hong Kong Tours, and Taiwan attractions, all just within the convenience of the Klook app on your phone. For more amazing travel deals and information on Klook’s Blossom Season Sale, visit Klook​, or download the Klook app, available in the App Store, and Google Play.